In the fourteenth and fifteenth century when pockets were not invented (it came several hundred years after) both men and women used to attach pouches to their medieval girdle (belt or sash worn around the waist) to keep their religious books, chain to suspend keys, scented oranges and even daggers and few other personal items. Those drawstring purses would hang from their girdle on a long cord and the length of the chord used to vary according to the status, fashion and life style of the user. The ornate Hamondeys or tasques. were the most favorite design among the women. 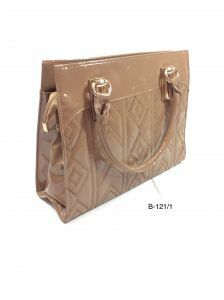 Handbags are fashion accessories that are categorized according to their shapes and handles. The most gorgeous way to add panache to your look is with the right handbag. Some of the most popular types are: (a) Baguette or narrow, small rectangular shaped that resemble a baguette or French loaf of bread, (b) Barrel or closed tube type normally comes with shoulder strap, (c) Bucket bag, medium or large sized, shaped like a bucket, (d) Clutch handbag, rectangular in shape, (e) Doctors Bag, (f) Half Moon, (f) Hobo, medium size crescent shaped bag, (g) Minaudire, a small rectangular usually hard-bodied, evening bag, (h) Tote, a medium to large bag generally made with canvas with an open and top two straps, and there are many others. Casual bags are not just meant to carry goods but different styles and designs are good fashion statements for the carrier. Rediff Shop has different styles of casual bags like Slim Purse Organizer, Craft Leather Women Handbag, Ladies Sling Bag Shoulder Bag, Siena Elba Handbags or Grey Bloom Sling Bag, Peach Dotted Womens Handbag With Scarf, Tuscany Black-Yellow Canvas Ladies Handbags, Ivy belts exclusive fashion bags, wallets, clutches, accessories, Magenta Raw Silk and Embroidery Rectangular Clutch casual bags and many others. They have vibrant hues, elaborate embroidery patterns and rich textures. They look fabulous but inexpensive and quite affordable at Rediff. Each kind had a different flavor, different detailing for different occasion and outfit to go with like formal dinner, casual outings, office, clubbing, weddings gifts, etc. 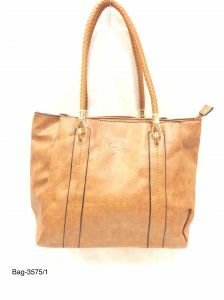 Choose wisely at Rediff shop and your casual bag will accentuate your outfit and your overall look. Many of their collections are handcrafted by various designers with brand labels that will make others envious. 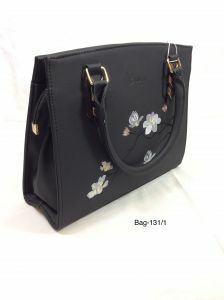 Buy your casual designer handbags at Rediff; it the best place online and most affordable than buying the same elsewhere. Order Now and avail the facility of free shipping and cash on delivery anywhere in India."